Oil, which can be both mineral and synthetic, is the liquid generally used for the lubrication of the parts in motion and for the energy transmission. we are analysing the aspects connected with the risk of fire and its toxicity. 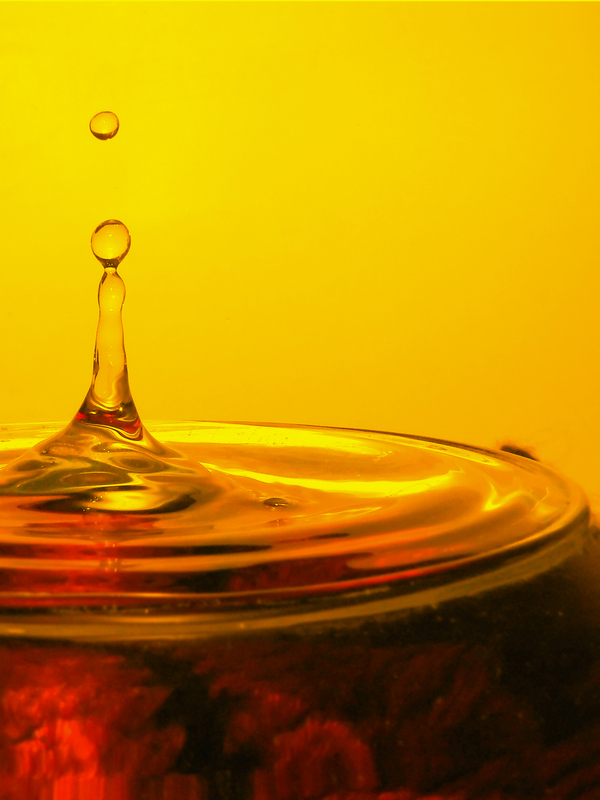 Lubricating oils are generally composed by a hydrocarbon base and by a whole of additives. The main characteristics of the oil are viscosity, which directly influences the friction it meets while flowing through tubes and equipment, the lubricating power and the protection against the corrosion of the various components. Besides, its capacity of removing heat in the points where energy losses are generated allows using very small motors compared to the delivered power, with good possibilities of repeating starts and stops with high frequency, without needing particular or oversized devices. Oil essentially performs two functions: lubricating and transmitting mechanical energy. 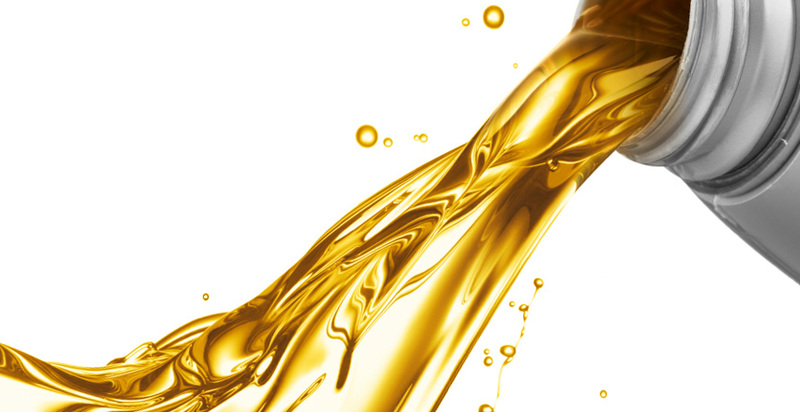 With the name of lubricating oils we identify a class of liquid mixtures used for the lubrication of mechanical organs. From the chemical point of view, they are composed by a base of hydrocarbon nature and by a whole of additives, which can be of mineral, semi-synthetic or synthetic origin. The lubricating oil is achieved through the petroleum refining, with the addition of special additives that confer new properties to the product, improving its characteristics and extending its service life. As known, it is used in the mechanical organs of machinery and in motors to reduce the friction between the parts in reciprocal motion, in order to protect components against wear, to favour the heat dispersion and to prevent the deposit of eventual non-soluble residues into the oil itself, keeping them in suspension and depositing them in a filter intended for retaining them. As above said, lubricating oils are generally composed by a hydrocarbon base and by a whole of additives. These additives compose from 10 to 30% of the overall volume of the lubricant. The additivation is subdivided into packages for the improvement of the viscosity, of the viscosity index, of detergence, to inhibit the formation of foam or oxidation and they are generally shared by all lubricants on trade today. – regenerated: they are the lubricants that are collected by worn-out oil consortia, which, after accurate procedures of new refining and additivation of the product, are reintroduced on the market. Besides lubricating, oil is used to transfer energy and then to move cylinders, motors, wheels and reduction gears, interacting with all the parts of a circuit. For this reason, there are different types of oils on the market and they are chosen according to the various features: viscosity, lubricating performance, resistance to ageing, hygroscopicity, high flash point and low noxiousness. This sector of hydraulics is clearly of fundamental importance, due to the capability of managing notable powers using components of small sizes and light weights compared to other alternative technologies. – a use group, formed by actuators of different kinds (cylinders, motors…). – Non-aqueous synthetic fluids: among the most common, it is worth mentioning simple or chlorinated phosphoric esters, chlorinated hydrocarbons and ester silicates. Hardly flammable fluids have been formulated both to withstand ignition and to limit the flame propagation. The need of making use of hardly flammable fluids became pressing in the years around 1950, when they became aware that the numerous disasters in industrial plants had been caused or made more serious by the flammability of the oils used in hydraulic equipment. In the case of a failure or of a leak, if the fluid used is a mineral oil and if (combustible), in presence of air (comburent), gets in touch with an adequate ignition source (trigger), we run the risk that the fire quickly propagates to the surrounding zones. Since the oil is generally pressurized in the circuit and therefore it comes out under the form of spray, its flammability is even higher. Hardly flammable fluids have been formulated both to withstand the ignition and to limit the flame propagation; the prevalence of one or the other characteristic depends on the particular nature of the fluid. Apart from the fluids of Group 1, i.e. those with aqueous base, which still today can be deemed the only really safe ones, when there are serious fire dangers, all other hydraulic liquids can burn when determinate conditions occur. – fall of fluid on surfaces with such a temperature and thermal capacity as to determine self-combustion phenomena in time. Mineral oils are the least safe from this point of view. They in fact already burn at low temperature, since they have quite low flame and self- combustion temperatures; moreover, if they catch fire, they go on burning, propagating the flame and then worsening the danger situation. The fluids of group 3, that is to say water-oil and water-glycol emulsions, have a notably different behaviour with regard to mineral oils: the evaporation of water, contained in a high percentage, tends in fact to suffocate the flame and prevents its propagation. The real combustion will take place only after the entire water has evaporated. In the fluids of group 4, i.e. non-aqueous synthetic ones, the resistance to flammability is connected with their chemical composition. Actually, in comparison with the fluids of group 3, they provide more safety both because the tendency not to propagate the flame is not linked with the water content and because the self-ignition temperature is higher. It is worth underlining that a hardly flammable fluid does not mean absolutely incombustible fluid but instead a fluid that takes a certain time to catch fire. Scheme of hardly flammable fluids. – temperature of self-ignition, or self-combustion, that is to say the minimum temperature at which the fluid spontaneously catches fire. The test is carried out by making a fixed volume of oil (0.07 cc) drip into a glass ampoule that is heated until the liquid spontaneously catches fire. The tests simulated under practical use conditions include numerous types proposed by particular users (aviation, mining industry, iron and steel industry) or by Standardization and Regulation Bodies. The prolonged contact with some synthetic fluids and sometimes also with mineral oils can cause skin irritations and diseases. Water- -glycol emulsions generally neither cause problems from this point of view nor water and oil emulsions are noxious, because the emulsifiers used generally do not attack the natural fats of the skin. The vapours of synthetic fluids, especially of chlorinated types, are very toxic and therefore we must avoid that operators can breathe them. On the other hand, the presence of such vapours in dangerous concentrations is rare, because the vapour tension of such fluids is exceptionally low (in the order of the fraction of mercury millimetre at the temperature of one hundred centigrade degrees). The danger situation can then occur if the fluid accidentally gets in touch with very hot surfaces or with flames: the fluid decomposes owing to the high temperature, generating a notable quantity of thick whitish smoke. Such smoke is extremely irritating for the respiratory system and also causes violent nausea but it seems that, if breathed only for short periods, does not produce intoxication phenomena.